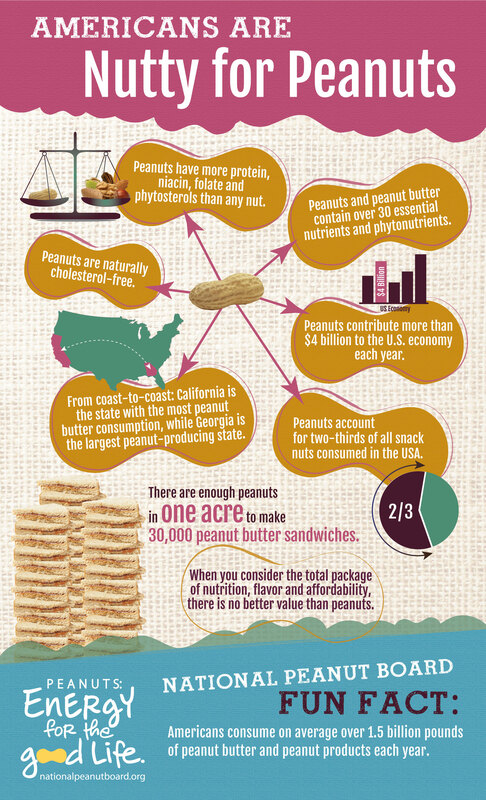 Did you know that peanuts contain more protein energy than any other nut? In fact nuts are absolutely packed full of nutrients and vitamins and this infographic from the National Peanut Board sets out some of the most beneficial. It's full of little peanut gems like the fact that Georgia is the largest peanut producing state in the U.S. It's a nicely designed infographic and comes with packed full of nutty facts - some great little snippets to spark conversation at your next dinner party.